Last night I had a delightful time with Giggles and CFG at the Roy and Edna Disney/CalArts Theater in the Walt Disney Concert Hall. 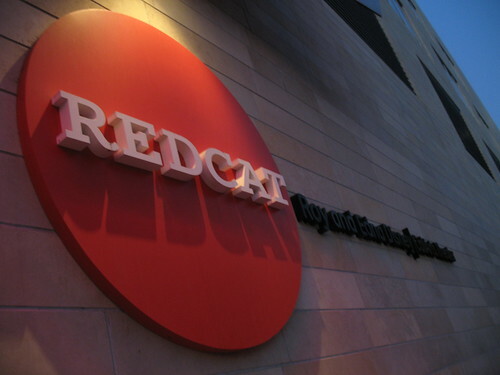 This mouthful is otherwise known as the catchy little acronym REDCAT. 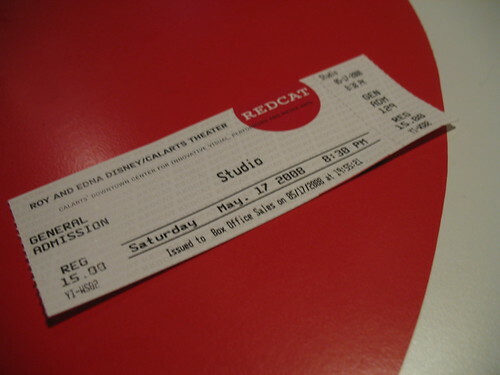 We saw Studio, a "quarterly series for interdisciplinary experimentation continues with a curated program of six new works and works-in-progress by Los Angeles dance, theater, music and multimedia artists." Half of the show (specifically the half that included CFG's dancer friends) was fantastic, while the other was...not as good as the fantastic half. I am exercising quite a bit of restraint here. The half that I enjoyed, however, was lovely. 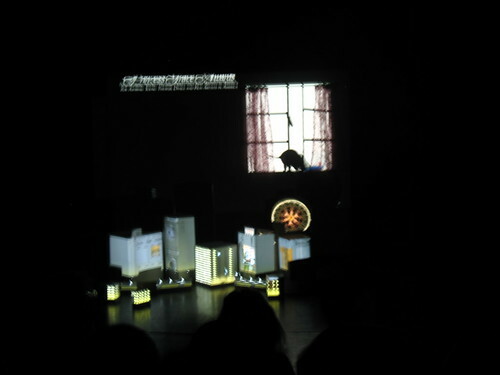 I was particularly enamored with Miwa Matreyek's piece, which combined animation with live performance. CFG said it was "enchanting." I agree! 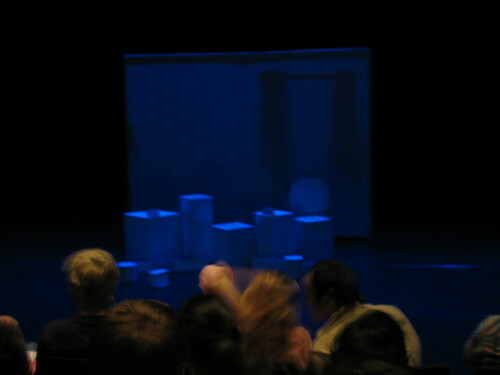 I also had fun watching Advanced Beginner, a quirky group that played everything from a comb to a dictionary to a cookie tin. I loved the bright retro costumes. It should be noted that CFG's dancer friends were awesome, but I couldn't take a good picture in the darkness. Sad. 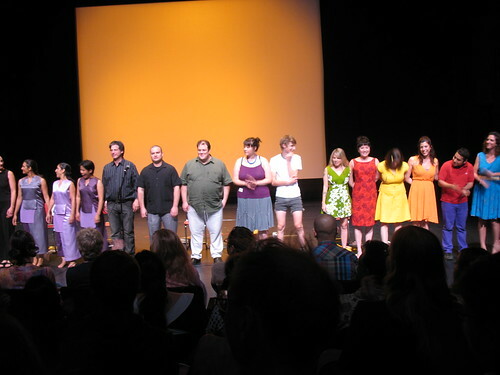 Here's everybody taking a bow at the end of the show. CFG's friends are the three women in purple on the left! They were so great! A big thank you to Giggles for inviting me! 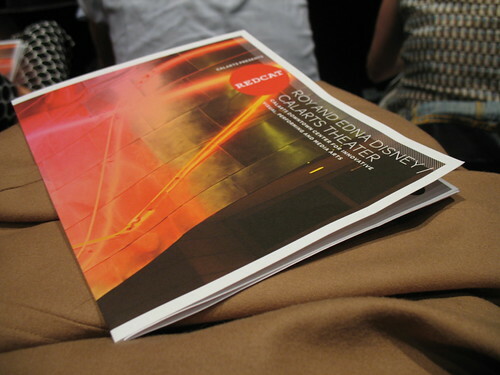 i love "redcat." and i am amused that we both had disney-fied saturdays. but in totally different ways. i've been meaning to check out a redcat thing. putting it on my list. That looks like fun. I like artsy fartsy stuff.